Universal copy paper for everyday use! MediaRange DIN A4 copy paper is suitable for both internal and external office communication. With a weight of 80g/m and a whiteness of CIE165 ( brightness: 110% ), it is ideal for everyday use. The high quality paper protects your printer from unnecessary paper jams and minimizes paper dust. 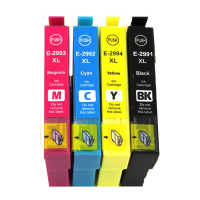 Suitable for all copiers, inkjet & laser printers and fax machines.